Debian 9 will install Firefox 52 which does not have all the major speed improvements that came with Quntum. If you wish to dramatically improve the speed of Firefox, you will need to run these steps to manually install a later version. Unfortunately, since we just manually downloaded Firefox rather than using the package manager, we will not recieve automatic updates. 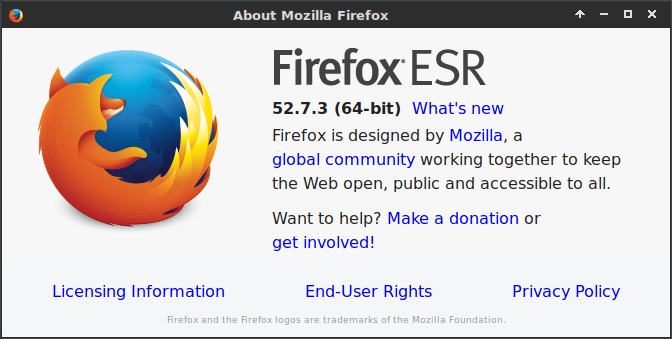 To update firefox, simply re-download the latest version again.